As per section 64(2), income from the transfer of a self acquired asset, without adequate consideration or conversion of the same into joint family property, shall not be treated as the income of the HUF. It shall continued to be taxed in the hands of the transferor who is the member of the HUF. Similarly, income from an impartible estate is taxable in the hands of the holder of the estate and not in the hands of the HUF. 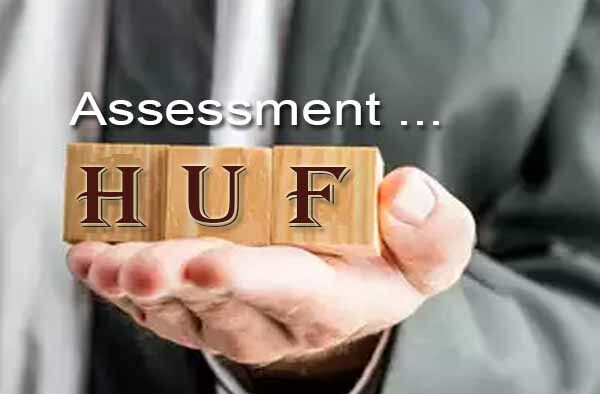 Any fee or remuneration received by a member of the HUF as a director or a partner in a company or firm which is as a result of the investment made in such concern out of the funds of the HUF, shall be treated as income of the HUF. However, if such fee or remuneration is earned by the member as a director or partner for services rendered purely in his personal capacity because of his personal aptitude to the business of the concern, it shall be treated as the income of the individual and not the HUF. In a case decided by the Supreme Court it has been held that remuneration and commission received by the Karta of HUF on account of his personal qualifications and exertions and not on account of investments of the family funds in the company cannot be treated as income of HUF. the payment is genuine and not excessive,— such remuneration paid wholly and exclusively for the business of the family, shall be allowable as an expenditure while computing the income of the HUF and such salary shall be taxable in the hands of karta/member as his individual income. As already discussed above, the son is not a coparcener in Dayabhaga School of law. Therefore, if the father does not have a brother as a coparcener, income arising from ancestral property is taxable as his individual income. Karta in his individual capacity and Karta representing HUF are two different entities. HUF can sublet its contract to Karta in his individual capacity. Income earned by Karta in his individual capacity from such contract cannot be assessed in the hands of HUF. Step 1: The Gross Total Income of HUF, like any other person, shall be computed under four heads of income, on the basis of their residential status. There can be no income under the head income from salaries in the case of HUF. Step 2: Sections 60 to 63 relating to income of other person included in the assessee’s total income are applicable in case of HUF but section 64 is not applicable to HUF as it is applicable in case of individual assessee only. Step 3: Set off of losses is permissible while aggregating the income under different heads of income. Step 4: Carry forward and set off of losses of past years, if permissible, is allowed. 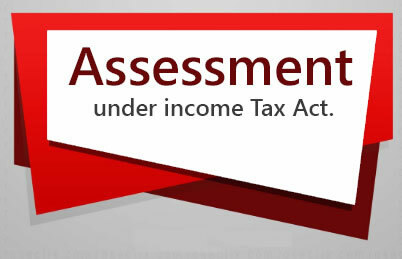 Step 5: The income computed in steps 1 to 4 is known as gross total income from which the deductions u/ss 80C, 80D, 80DD, 80DDB, 80G, 80GGA, 80GGC, 80-IA, 80-IB, 80-IBA, 80-IC, 80- ID, 80-IE, 80JJA, 80JJAA, 80TTA will be allowed. Step 6: The balance income after allowing the deductions is known as Total income which will be rounded off to the nearest Rs. 10. Step 7: Compute the tax on such total income at the prescribed rates of tax i.e. at special rates and normal slab rates. Step 8: Add surcharge @ 10% on total income exceeding Rs. 50,00,000 and upto Rs. 1 crore and 15% of such income tax in case of a person having a total income exceeding Rs. 1 crore. Step 9: Education cess @ 2% plus SHEC @ 1% on the tax plus surcharge if any, shall be levied. Step 10: Deduct the TDS, advance tax paid for the relevant assessment year and double taxation relief under section 90, 90A or 91. The balance is the net tax payable which will be rounded off to nearest Rs. 10 and must be paid as self-assessment tax before submitting the return of income.